This is the time of year when many businesses start to think about ways to kick-off the summer, celebrating and rewarding their employees. A great way to stand out from the standard grill and cook-out get-together is with a luxury yacht charter. A luxury yacht charter offers a variety of options for everyone onboard. Guests can enjoy the scenic trip from comfortable seating on the deck soaking up the sunshine. A DJ with dancing is one of the many entertainment options that can be made available for your guests. If live entertainment is better suited for your event, options can include everything from a piano player and singer to an orchestra. If you are looking for a more focused corporate affair, our team can arrange for a stage, audio equipment and more. This allows for executives to speak to their team, either in a formal or informal setting. There are many onboard dining options to choose from. Whether you are looking for a more laid back get together with casual dining or a buffet to a cocktail party followed by a four-course sit-down dinner, the options you choose can set the tone for the event. Many yachts can accommodate anywhere from ten to hundreds of guests, making this an ideal option for your corporate event. Whether a smaller intimate team event or over a hundred, the right yacht charter can ensure that your guests have a comfortable and enjoyable experience onboard. For a truly unique way to not only reward your team, but also to bring everyone together, consider thinking outside of the box with a luxury yacht charter. Sharing in this one-of-a-kind experience will help to build comradery among your employees, while also providing them with a trip that they will be talking about for years to come. 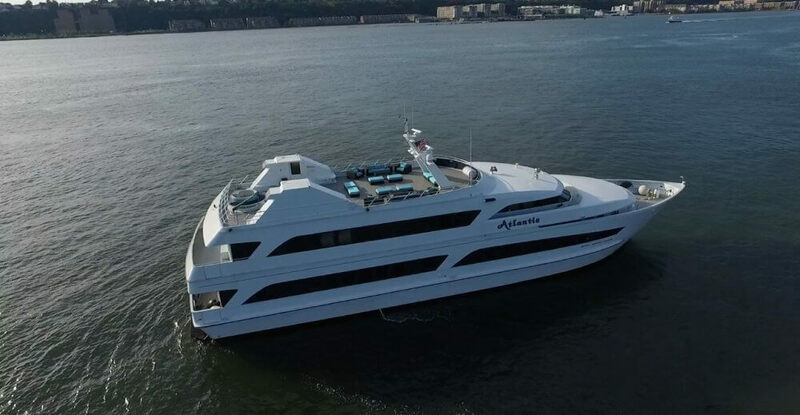 For more details about available yacht options for your corporate event, check out all of Prestige Yacht Charter’s available fleet at https://www.prestigeyachtcharters.com/. There is little as invigorating as a trip on a yacht charter. Enjoying the open water, scenic decks and cityscapes, all while also enjoying the many amenities that a luxury yacht has to offer. While most chartered yachts come equipped with many of the items you need, including a full bar and dining options, there are personal items that you might want to bring onboard. Comfortable footwear will go a long way to making your trip a pleasant one. Consider packing a pair of sneakers and flip-flops for the most versatile options during your yacht charter experience. Packing sunscreen is also a must as most passengers spend plenty of time on deck enjoying the sights as they cruise along. A light sweater or jacket can be also be useful. As the sun sets the weather on the decks may cool, but you don’t want this to interfere with your scenic yacht experience. If your yacht charter experience is a more formal event, whether a dinner cruise, wedding cruise or corporate yacht event, you will want to pack light. Fortunately, your yacht charter will have everything you need onboard, so that you can sit back and enjoy the fine dining, dancing, and many other amenities that the yacht charter has to offer. You may still want to consider comfortable shoes so that you can dance the night away onboard. For daytime yacht charters, sunscreen is still a must. A light jacket or wrap is a good idea, particularly for a formal function where guests may be wearing sleeveless dresses. Planning ahead for your yacht charter can enhance your comfort and enjoyment of this once in a lifetime event. For more detail about available options, check out all of Prestige Yacht Charter’s available yachts at https://www.prestigeyachtcharters.com/. We are proud to announce the availability of a new Long Island charter yacht, Freeport Princess. A 106ft luxury yacht with a newly remodeled interior, the Freeport Princess offers many unique features for up to 150 guests. Whether it’s a lounge on the main level, cocktails and passed hors d’oeuvres, or a dance floor for more boisterous gatherings, there is something for everyone on the Freeport Princess. Equally versatile for business parties or personal celebrations, the Freeport Princess touts its state-of-the-art electronics and equipment for any business gathering. Its ability to handle sophisticated presentations makes it ideal for corporate purposes, whether it’s to land a new prospect or just show appreciation for your hard-working staff with a holiday party. The ship’s design includes three separate levels for multi-purpose gatherings. A dedicated dining level may be used either for an informal buffet or a served, formal sit-down meal. Whether it’s a lounge on the main level, cocktails and passed hors d’oeuvres, or a dance floor for more boisterous gatherings, there is something for everyone on the Freeport Princess. Every amenity has been addressed in the design of the Freeport Princess; a climate-controlled cabin with large windows anticipates any type of weather and plenty of room, including four restrooms, ensures maximum and leisurely comfort. The Freeport Princess itself provides unmatched splendor and evokes the time when yachting was the exclusive enclave for the rich and famous. Your guests will be transported to the more relaxed and peaceful way of life, so uncommon in today’s New York metropolis. For more personal gatherings, the LI Freeport Princess offers magnificent views and spectacular sunsets as a romantic background for nearly any occasion. With a full bar, and your choice of diverse cuisines and catering options (casual to formal and everything in between), Prestige has thought of nearly every detail to ensure a memorable and special occasion. Here at Prestige, we are constantly adding and culling to our fleet to ensure every ship contributes its own unique atmosphere to meet your need. Just go to our charter yachts page to view our yacht exterior and interior features, and pick out the yacht you prefer. With sufficient lead time, we will make every effort to accommodate you. We anticipate the Freeport Princess will become one of our most sought-after Long Island charters. Thanks to its continuing success, Prestige Yacht Charters will be offering new marina embarkation locations including access to private yachts in South Florida this winter. The newly renovated and upgraded luxury yacht, “Avanti,” will provide day charters for up to 12 guests or overnight accommodations for 8. 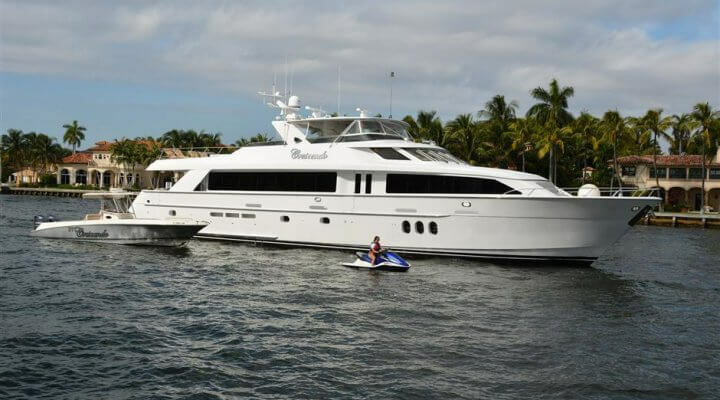 We will also feature the classic yacht, “Mariner III,” from Palm Beach and other select yachts for 2-800 guests in the Southeast Florida region. Share our success in South Florida this winter. Prestige already offers embarkation points throughout the New York Metro region for trips around New York City, along the Hudson River or on Long Island Sound. 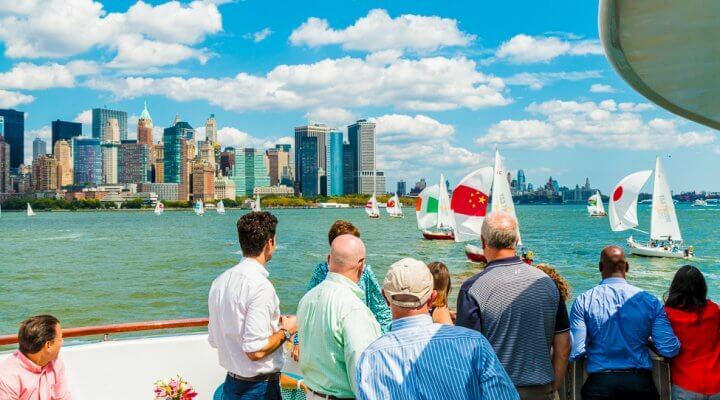 Marinas such as the North Cove Yacht Harbor, located near the World Financial Center, Delmar Greenwich Harbor in Connecticut or the Liberty Landing Marina in Jersey City are just a few of the many options available. The new locations in South Florida, however, represent a sea change in the expansion of Prestige. We hope our current clientele who winter in South Florida will transfer their loyal patronage to the new location. We will roll out our expansion in the coming weeks with more details including a new website, brochure and other marketing materials. Stay tuned to this blog and our Facebook Page to learn more about this exciting development. Our new luxury yacht in Florida will provide an ornate experience designed for smaller groups. Whether it’s for a birthday, club or a cozy wedding, few experiences rival the effect of a luxury yacht on a celebration, ensuring memories to last a lifetime. Your senses will be feted by the gentle lapping of water on the hull, your favorite cuisine and music of any genre. If you wish, you can plan your event in New York now using our many experts for services such as photography, floral design, entertainment and officiates. Our planners will ensure a tasteful mix suited to any occasion. Prestige is currently flexible regarding cruise itineraries. If you have special trips in mind, please contact us, and we will do everything possible to accommodate you. Share our success in South Florida this winter. We expect reservations to go fast and will honor reservations strictly on a first-come, first-serve basis. Our new yachts will become flagships of our entire fleet, and we can’t wait to try them out! As part of our Business Party Bonanza program, we are offering special prices for November reservations of yachts for business meetings or holiday parties. The program will provide one free passed hors d’oeuvre for businesses scheduling outings for 20 guests or more. In addition to the unique bonds fostered by a yachting voyage, yachts create a captive audience, ensuring your prospect’s full attention for the entire length of the trip. 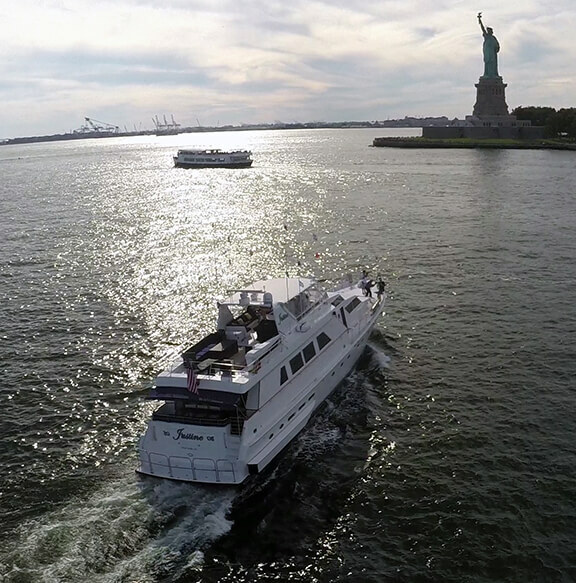 The Prestige Business Party Bonanza program offers a cruise along the Hudson River in a private yacht including a trip past the Statue of Liberty and the Brooklyn Bridge. Business staff, guests and prospects are feted with their choice of cuisine prepared by acclaimed chefs and entertainment such as live music, DJs, caricaturists, mixologists and casinos. We have always included business organizations as a target market for the reservation of exclusive private yacht charters. We have equipped our ships with sophisticated audiovisual systems, included spaces conducive to business gatherings, and provided expert planners to help choose appropriate design, entertainment and cuisine. The yacht’s décor can be tailored to show attention to detail while maintaining perspective on the larger issues of family, friends and health. For business holiday parties, a yachting environment provides a unique way of saying thank you by just having fun together. The Business Party Bonanza program offers more than 20 yachts for parties from two to 750 people. Expert planners help customers select a yacht and organize an event based on personal preferences such as budget, food and beverage service, entertainment and business needs. All vessels are climate-controlled with enclosed decks in case of inclement weather. Clients can select a boat by viewing the ship profile and interior at www.prestigeyachtcharters.com.